We transitioned the girls into toddler beds the week before Andrew was born. 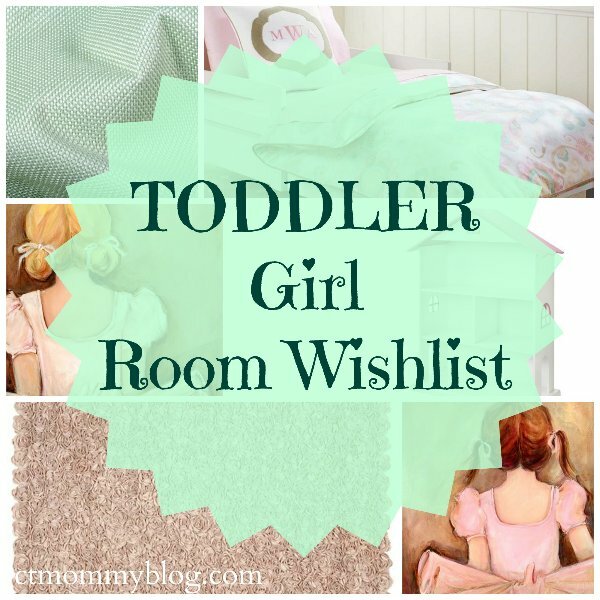 It was a very hectic period for all of us and unfortunately little time or effort went into creating a big girl room. It’s been 7 months since Andrew was born (how did that happen?) and the dust has finally begun to settle. I have finally committed to changing our twins’ nursery into a toddler room that I can be proud of. I want it to be a room that they can enjoy now, but also one that will still be appropriate as they grow older. 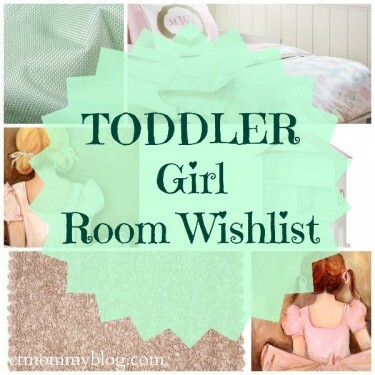 Here are a few of my must-have pieces for the new toddler room. Do you have any idea how hard it is to find toddler bedding without cartoon characters? Especially one that won’t cost you a small fortune when buying two? 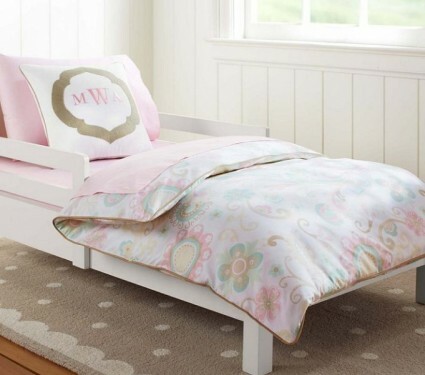 I’ve been looking online for months and think that I finally came across the perfect piece from Pottery Barn Kids. 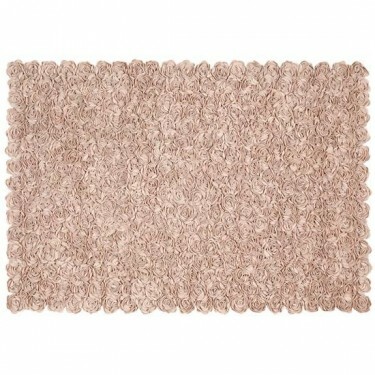 It’s got the warm pastel colors I want for the room (light pink, blue, green, and beige). At a clearance price I couldn’t pass this deal up! The only catch is that it’s a duvet cover which means I’m still going to have to get a comforter insert but thankfully Ikea has great ones at an affordable price. 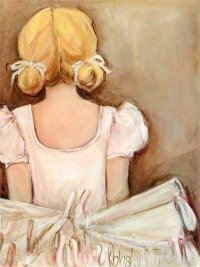 There is something about these ballerina canvases that screams Olivia and Juliette to me. 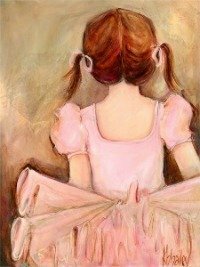 Maybe it’s the different hair color or the delicate tutus, but I can imagine the different personalities that each girl has. I’ve gotta say I’m in love with these prints. The colors already pair so nicely with the bedding, and although my girls are not ballerinas (yet!) I picture them fondly staring at these for years to come. We’ve moved the rocking chair out of the girls’ room and into Andrew’s nursery. We now need a new place to sit and cuddle while reading bedtime stories. 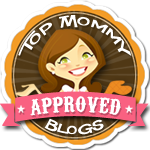 I love the idea of including an oversize beanbag chair, like the one from BeanBagBoss, into the new room. It adds a bit of whimsy while still being a functional piece of furniture. 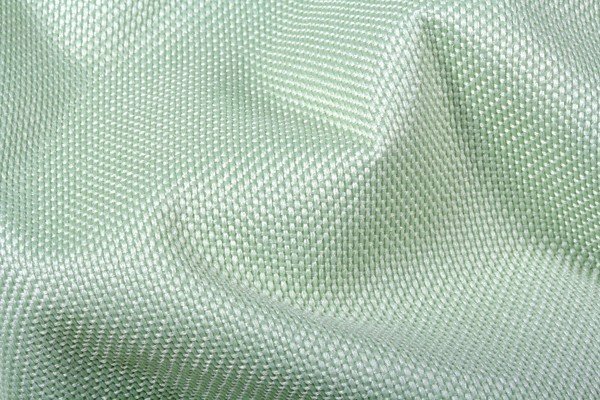 I’m loving how this sage green color stays in line with the color palette of the room but is not too gender specific. 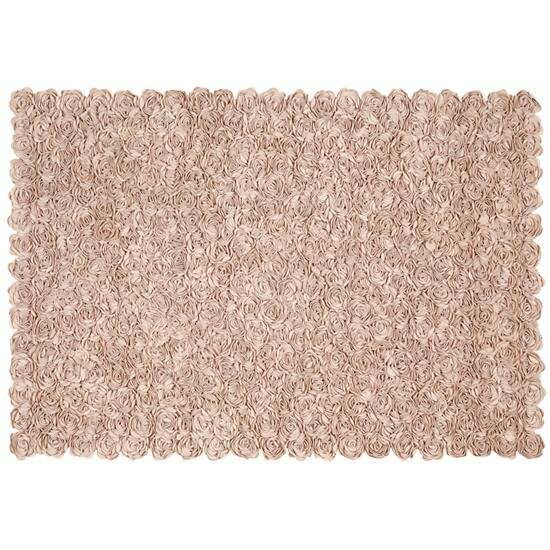 I feel like an area rug is my favorite decor piece to tie everything together. I love the detail on this rug. It’s so delicate and feminine while still being fun. I think it will add a lot of texture and interest to the room. 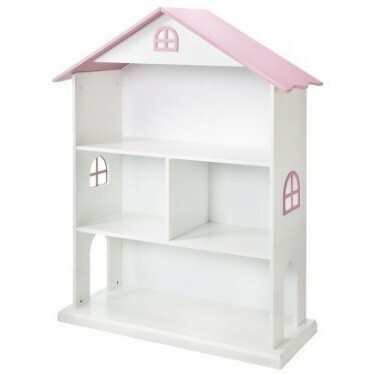 This bookshelf is a perfect accessory in a little girl’s room. I know my girls will love playing with their dolls or stacking their favorite bedtime stories on this adorable bookshelf in the shape of a dollhouse!